To remain competitive, organizations need to innovate their practices. 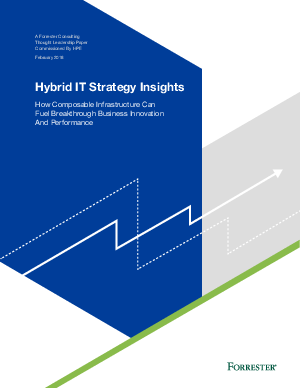 But what are the infrastructure, best practices and technologies that lead to successful hybrid IT? Forrester Consulting evaluated IT decision makers leading their organizations through digital transformation to explore the technologies used, challenges experienced, and benefits gained from their hybrid IT models.